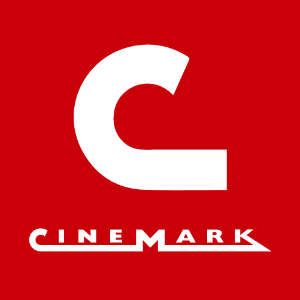 Cinemark offers Movie Club New Membership discount, 50% off 2 months, Click here to get the code. Member Benefits: Earn Points + one 2D ticket Free per Month + 20% off Concessions + Waived Online Fee + member pricing for additional tickets. Unused credits roll over and never expire when you’re a member, cancel anytime. Limited time offer. Discounted months of membership for new members only. Promotion is valid only once per member. After 2 months, Movie Club membership will automatically renew at the membership price for your location, plus applicable taxes. Certain restrictions apply. See website for details. Featured: It's time to hit the hottest Summer Movie. Grab your friends or families to any Cinemark cinema with your exclusive Member benefits. Enjoy the Free ticket each month and 20% off snacks and soda for you and your companies! Waived online fee make easier and cheaper to book tickets online and reserve the seat just for you. Now, You can Save More! Just Click the Link we provide and Join the Movie Club to redeem our Exclusive 50% off Discount with Promo Code. When you check out, Apply the Code First and click“Complete Purchase” price will go down half price of the original price for two months member, After two months, the member will renew automatically for regular price. There is no contract and you can cancel at any time. As the second large theater chain in the U.S, Cinemark has almost 525 properties and 1500 screens around North America and Latin America. So you can easy to find a cinema near you and enjoy your brilliant movie time with their advanced speaker and screen system and lounge chair. Now, Please enjoy your movie.